Need more information about booking Home 7261758 ? For that time you need to get away from it all. A romantic getaway for two. Need a break from the kids, or for business. Chalets on Stoneville have just what you need. A quiet hidden oasis just 20 minutes from the airport and only 35km from Perth. You can be confident and assured about total privacy. The chalets are a touch of the rustic charm set on a rise in a unique setting surrounded by tall gums. Located on a 7.5 hectare (approximately 20 acres) property the chalets offer guests a quiet secluded getaway.An environment which allows you to wander through nature's beauty if you so desire or simply sit under the verandah listen to the birds and enjoy the tranquility. 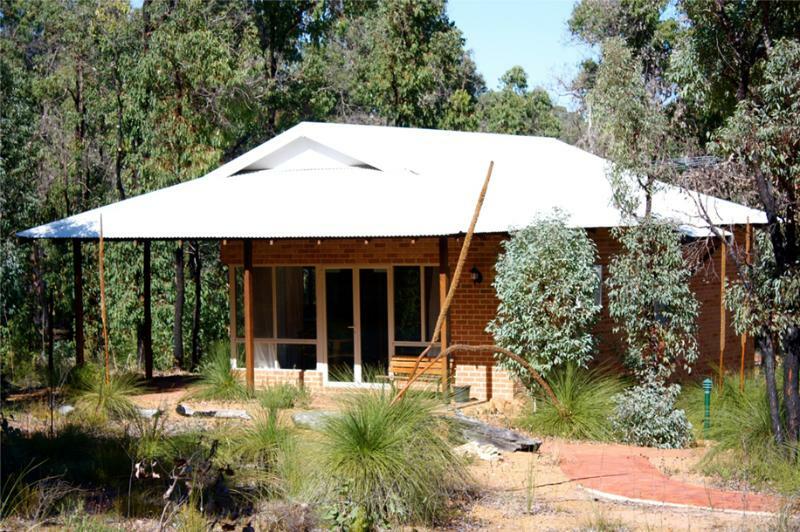 The location in Stoneville is less than 1 hour's drive from Perth. No parties or pets of any kind allowed.